Feet absorb significant pressure and shock each time they strike the ground. Custom orthotics can successfully cushion and align the foot to prevent injuries under this tremendous stress, even for the most active patients. Custom orthotics can successfully prevent injuries, improve athletic performance, and treat multiple conditions of the foot that cause pain and immobility. 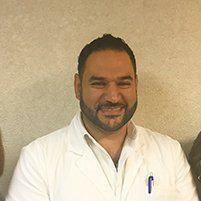 Dr. Paul Georges at Prime Foot and Ankle Care specializes in custom orthotics for patients in the greater Lowell, Massachusetts area, including Chelmsford, Dracut, Tewksbury, Westford, Billerica, and Tyngsboro. How do orthotics support the feet? The biomechanics of a person’s feet are meant to absorb shock and evenly distribute body weight when walking. If misalignment or overuse change the biomechanics of the foot, shock and pressure can cause a trigger effect that strains the body from the feet up. How do custom orthotics and prefabricated orthotics differ? Prefabricated shoe inserts are limited in their ability to support the unique anatomy of your foot. Because they’re pre-made, they are unable to effectively correct biomechanical problems. Instead, they simply pad the feet and ankles in an effort to alleviate stress. Prefabricated orthotics are successful in treating some minor foot conditions, but most conditions require custom orthotics. Custom orthotics are customized from a mold of your feet, making them a perfect fit for your unique anatomy; they’re designed to match the contours of your feet and the precise way you move. Orthotics are only manufactured after a podiatrist has conducted a complete evaluation of your feet, ankles, and legs so the orthotics can accommodate your unique foot structure and pathology. Your insurance coverage depends on the details of your individual policy. Many patients find that custom orthotics that are medically necessary are covered by their insurance. How do I get custom orthotics? Dr.Georges will evaluate the patient’s lower limbs and biomechanics to determine the needs of the feet. Next, he’ll cast the patient’s feet to get an accurate mold of the foot shape. He’ll then prescribe and fabricate the inserts. The right pair of orthotics can relieve or eliminate foot pain while improving foot function whether it’s for work, recreation, or sports. At Prime Foot and Ankle Care, Dr. Georges can help determine what type of orthotics will best benefit each patient. Use the website or call to schedule a consultation with him today.